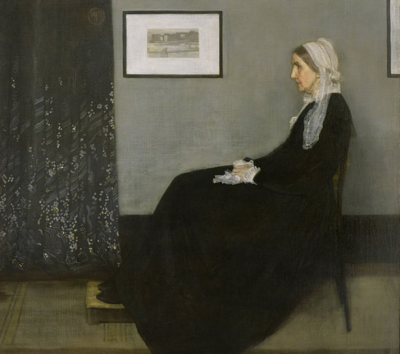 WHISTLER, James Abbott McNeil (1834-1903), Massachusetts-born artist known for his famous portrait of his mother. From November 1854 to February 1855 he was employed by the U.S. Coast Survey as an engraver at the salary of $1.50 a day. As such, he was assigned the task of preparing an engraving of East Anacapa Island based on a hand drawn sketch done by a Mr. McMurtrie for Captain T. H. Stevens, Lieutenant Commander of the Ewing. Whistler never visited Anacapa nor any of the Northern Channel Islands. In completing the assignment, he took artistic license and added a number of seagulls to his work. Previously Whistler had received a warning for taking liberties, and shortly after the Anacapa Island assignment he resigned. The 1854 version of the map shows seagulls above Arch Rock. When the map was reprinted two years later (1856), the birds were omitted. An original of Whistler’s Anacapa Island engraved with the seagulls is highly prized by collectors. 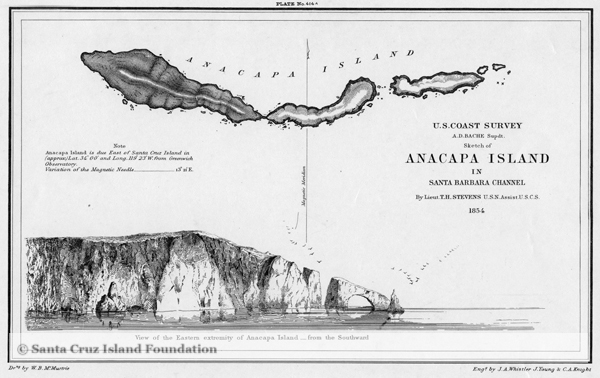 Whistler never visited Anacapa Island.